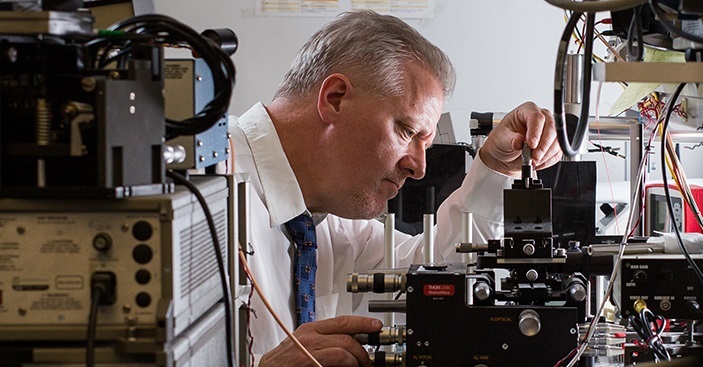 Dr. Pierre Berini, Director of the Centre for Research in Photonics, professor with the School of Electrical Engineering and Computer Science; and Department of Physics and University Research Chair in Surface Plasmon Photonics is named as the 2018-1019 Distinguished University Professor at uOttawa. This title is given in recognition of exceptional scholarly achievement, pre-eminence in a particular field of knowledge and a solid teaching record to individuals who have well represented and acted as ambassadors of the University's mission, vision and values in the various aspects of their career at the University of Ottawa. Congratulations, Dr. Berini, on this well-deserved honour!